Adolescent HIV self-management is a complex phenomenon that has been poorly researched. A mixed-method explorative sequential research design was used to develop an instrument to measure adolescent HIV self-management in the context of the Western Cape, South Africa. The development and validation was undertaken in four phases: (i) individual interviews and focus groups with adolescents aged 13 to 18, their caregivers and healthcare workers (n = 56); (ii) item identification; (iii) item refinement through cognitive interviewing (n = 11), expert review (n = 11) and pilot testing (n = 33); and (iv) psychometric evaluation (n = 385). The final scale consists of five components with 35 items encompassing the construct of adolescent HIV self-management. The developed scale had acceptable reliability (0.84) and stability (0.76). Factor analysis indicated a good model-fit that support the structural validity (RMSEA = 0.052, p = 0.24; RMR = 0.065; CFI = 0.9). Higher self-management was associated with better HIV-related and general health outcomes, which supports the criterion- and convergent validity of the instrument. We would like to acknowledge the following organizations that provided funding for this study: National Research Foundation (NRF) of South Africa (Grant number 97022); South-2-South through the President’s Emergency Plan for AIDS Relief (PEPFAR); Harry Crossley Foundation funding through Stellenbosch University. Opinions expressed and conclusions arrived at, are those of the authors and are not attributed to the funders. Stellenbosch University Health Research Ethics Committee approval (Ref:S15/03/054) and Department of Health permission (Ref:WC_2015RP53_21) were obtained to conduct the study. Informed consent was obtained for all adult participants before data collection. Adolescent assent and parental consent (either in person or telephonically) was obtained for adolescents younger than 18. Adolescents and caregivers were reimbursed for their time and inconvenience (SA R80/USD 5.60 for interviews/focus groups and SA R30/USD 2.10 for completion of questionnaires). Participants could relate their experiences or complete questionnaires in their language of choice (English, Afrikaans or isiXhosa). All applicable international, national, and/or institutional guidelines for research on human beings were followed. UNICEF. For every child end AIDS. Seventh stocktaking report. 2016. https://data.unicef.org/wp-content/uploads/2016/12/HIV-and-AIDS-2016-Seventh-Stocktaking-Report.pdf. Accessed 16 Mar 2017. UNICEF. Children and AIDS: statistical update. 2017. https://www.unicef.org/health/files/Children_and_AIDS_2017.pdf. Accessed 26 Apr 2018. Lowenthal ED, Bakeera-Kitaka S, Marukutira T, Chapman J, Goldrath K, Ferrand R. Perinatally acquired HIV infection in adolescents from Sub-Saharan Africa: a review of emerging challenges. Botswana-UPenn Scholarly Publications. 2014. http://repository.upenn.edu/botswana_schol/15. Accessed 30 May 2017. Creswell J, Klassen AC, Plano Clark VL, Smith KC. Best Practices for Mixed Methods Research in the Health Sciences. Office of Behavioral and Social Sciences Research (OBSSR). 2011. https://www2.jabsom.hawaii.edu/native/docs/tsudocs/Best_Practices_for_Mixed_Methods_Research_Aug2011.pdf. Accessed 24 Apr 2017. 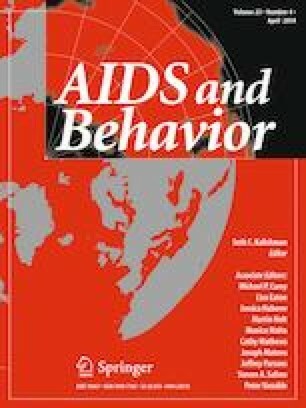 Crowley T. The development of an instrument to measure adolescent HIV self-management in the context of the Western Cape, South Africa. Dissertation, Stellenbosch University; 2018. http://scholar.sun.ac.za/handle/10019.1/103521. Accessed 24 Apr 2018. Patient-Reported Outcome Measurement Information System (PROMIS). Instrument development and validation scientific standards. Version 2.0. National Institutes of Health. 2013. http://www.nihpromis.org/Documents/PROMISStandards_Vers2.0_Final.pdf?AspxAutoDetectCookieSupport=1. Accessed 17 Mar 2016. Youth in Mind. Scoring the strengths & difficulties questionnaire for age 4–17 or 18 + . 2016. http://www.sdqinfo.com/py/sdqinfo/c0.py. Accessed 1 Sept 2017. Human Sciences Research Council. Third South African national HIV, behaviour and health survey. 2008. http://www.hsrc.ac/za. Accessed 1 Sept 2017. World Health Organization. Participant manual: IMAI one-day orientation on adolescents living with HIV. WHO Press, World Health Organization, Geneva, Switzerland. ISBN 978 92 4 159897 2. 2010. https://apps.who.int/iris/bitstream/handle/10665/44258/9789241598972_eng.pdf. Accessed 17 Mar 2016.